It’s the most wonderful time of the year! I love the run up to Christmas, even though it seems to start earlier every year. I’m loving all the Christmas displays in the shops, the decorations, the Christmas adverts, bring it on! I’m resisting the urge to pull my Christmas jumper out of the wardrobe..for now! One thing I love to make some time for around this time of year is settling down on the sofa with a gingerbread latte and my Christmas food magazines and books. I have a read through the recipes and decide what I’m going to make over the festive season. I always make a few goodies for family and friends, they seem to be very well received and it’s a good thing to do if like me you are on a tight budget. I always stock up on ingredients when they are on offer in the supermarket, I keep an eye out for special deals coming up. Last year I was teased mercilessly because I bought a ton of lurpack butter in Tesco 2 for £2! 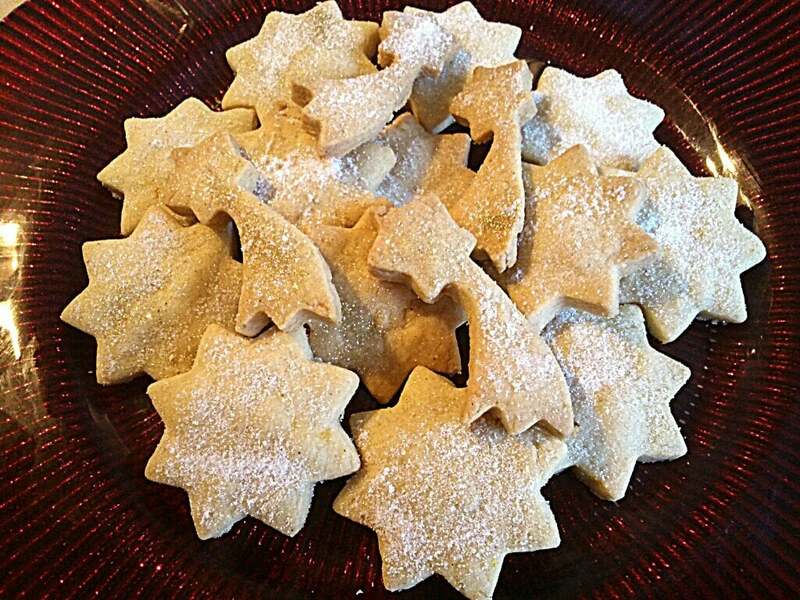 Here is a lovely recipe for shortbread, it’s lovely with the orange zest and cinnamon but you can always make it plain if you prefer. Beat the butter until very light and creamy. Add the orange zest. Slowly add the icing sugar, cornflour, plain flour and cinnamon. Bring together to male a dough. Try not to handle the dough too much – it will affect the texture of the shortbread. Roll out and cut out desired shapes. Bake at 180C for 12-15 minutes or until pale golden around the edges. I am a fan of shortbread and I really like that you added some new flavors – orange and cinnamon. Definitely on my list to try. I’m such a cinnamon fan! These look lovely.